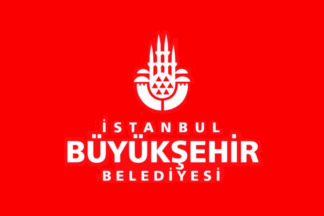 - beneath the emblem, "İstanbul Büyükşehir Belediyesi", on three lines, "Büyükşehir" in bigger letters. All the writings are in capital letters. 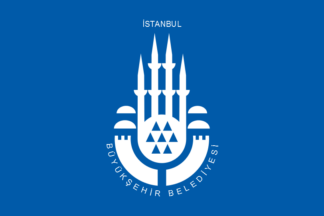 "Büyükşehir Belediyesi" means "Metropolitan Municipality". 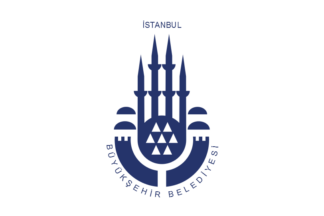 The emblem of the town of İstanbul was designed by Metin Edremit, winner of a contest organized by the municipal administration in 1969. 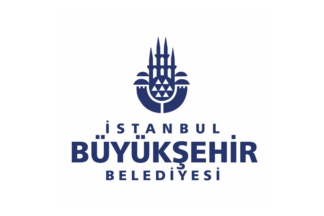 The lower part of the emblem shows the Bosphorus, which separates the town into two parts and combines two continents (Europe and Asia). The city walls of the historical town are shown on each side. The famous mosques of İstanbul and their minarets, which constitute a major item in the town's tourism potential, are symbolized as they are seen in the İstanbul skyline. The seven triangles in the middle of the emblem represent the seven hills on which Istanbul was built. 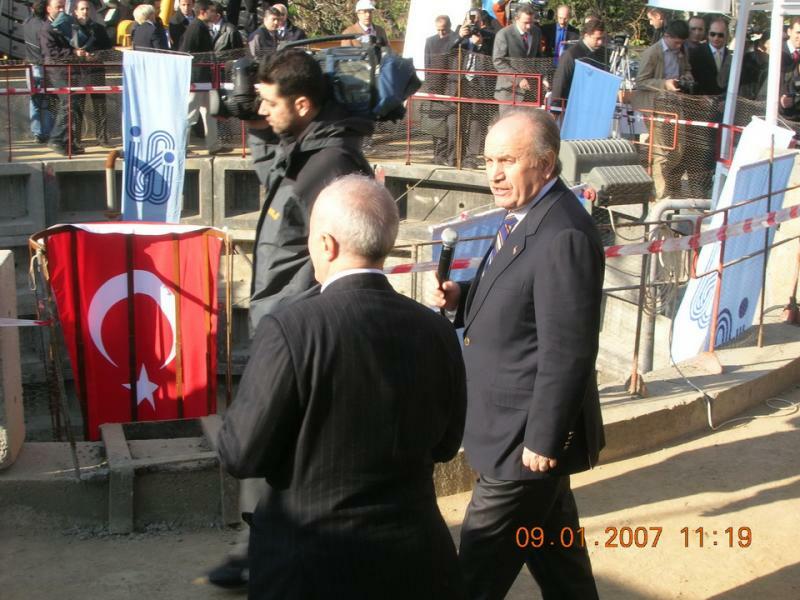 The flag is also used vertically (photo, 30 October 2007). 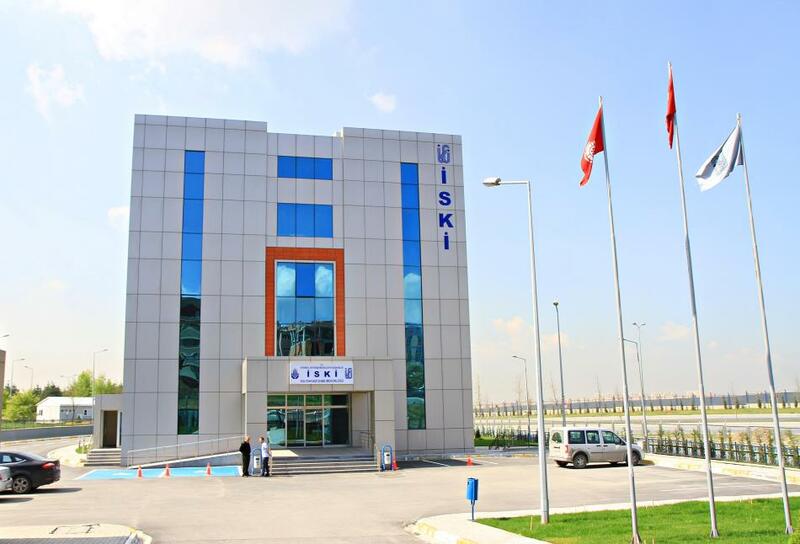 The flag of İSKİ (photo, photo, photo) is white with the administration's logo. İSO (website) was inaugurated on 30 May 1952. By the end of 1963, İSO had reached 2,365 members. Today, with a roster of over 17,000 members, the organization is Turkey's oldest and largest industrial chamber. 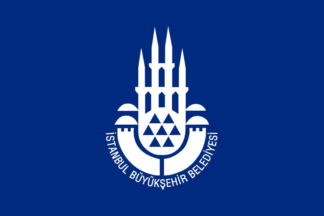 The flag of İSO (photo, photo, photo, photo, photo, photo) is white with the organization's logo.